One hundred years on, the debate on the origins of the Great War remains unresolved. The July Crisis of 1914, as the thirty eight days between the assassinations at Sarajevo and the British declaration of war on Germany are known, was not inevitable. In the summer of 1914 diplomacy failed. As a result, Europe fell into sombre apocalypse. We will follow the march to war together, day by day. My aim is to share with you a few documents every week that trace the development of the 1914 July Crisis as it happened. Together, we will understand how peace was shattered. Together, we will understand how Europe went to war in the summer of 1914. Matthieu Watson Santerre is the Senior Researcher at JulyCrisis1914. He is a recent graduate of the London School of Economics and Political Science (LSE). He holds a MSc in the History of International Relations from LSE and a BA in Political Science and Economics from McGill University. 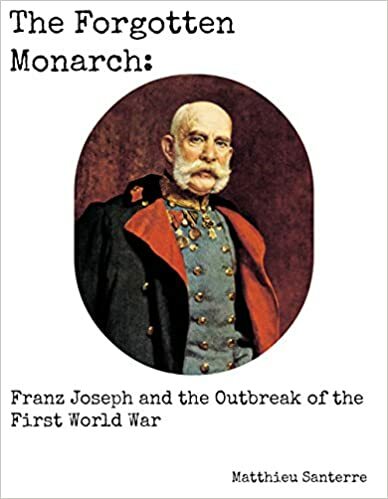 He is currently researching the role of the Austro-Hungarian Emperor Franz Joseph on the July Crisis. 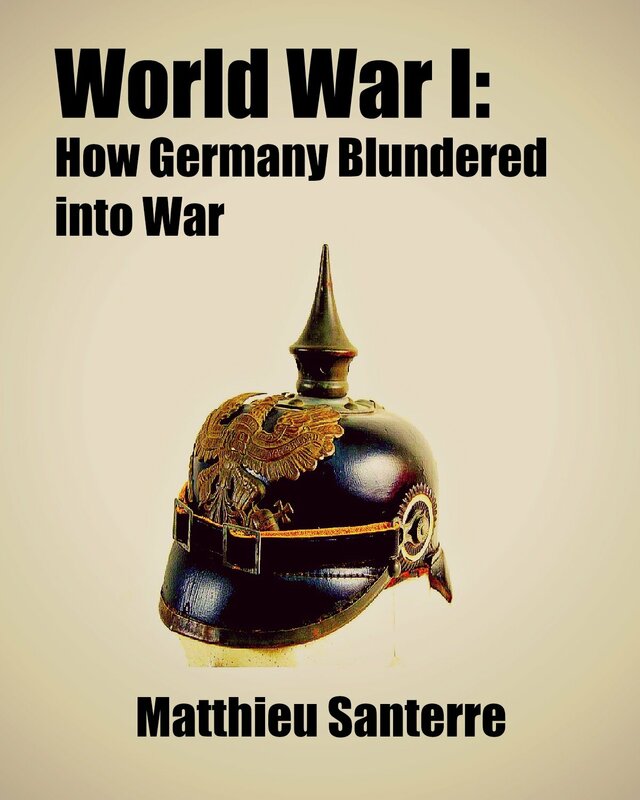 His e-book, World War I: How Germany Blundered into War, is available on Amazon. What a fascinating idea you have here. Will follow along & perhaps re-learn/learn about WWI. Best of luck with it. Thank you very much! I’m looking forward to the project myself. The fun starts on 28 June. Dropped in after you “liked” my recent review of Maisie Dobbs by Jacqueline Winspear. Your site is fascinating and well done. Glad I found it! Thanks for liking my review of Weitz’s book on Weimar Germany. If you dig a bit deeper into that blog, you’ll also find reviews of some works relating to 1914, including Clarke’s ‘The Sleepwalkers’. I am only an amateur historian, so feel free to disagree or debate any of my observations! Excellent site! I normally do Environmental History, but I’ve been reading a lot about this era lately. Lots of good material here, which I’m looking forward to digging into! Thank you for visiting my site. Looks like you have a project that will keep you busy for a while. After I launch my book next week I will have more time to explore your site in more detail. Thank you! Good luck with your book! Thank you for liking my “about” as it has led me to your page and there are lots of interesting things to read. Have you watched the 3 part BBC drama “37 Days”? What did you think? Thank you for your comment. Unfortunately, I have not yet watched the BBC’s “37 Days”, but I have heard good things about it. It’s now available on DVD. I’m waiting for the price to go down so I can buy it and watch it again. I appreciate you liking my blogs. You’re welcome, Peter! You have a very good blog. Thank you for liking my blog posts about my book Searching for Hugo. I appreciate that you also use letters and other documents to show the development of the war. I’ve found that letters impart a better understanding of the people involved and help bridge the span of time. Very glad to see your blog. Thank you so much for liking my post about Louise Erdrich’s “Master Butchers Singing Club.” As a WWI enthusiast I’m sure you’d love the book! Very cool blog as well! Thank you for liking my page (recniky.com). I’ve purchased your ebook and am looking forward to reading it. Thank you very much! I hope you enjoy the ebook. If so, please review it on amazon. I have downloaded your e-book and look forward to reading it. I will post my comment on amazon. Thank you for visiting my site! Thanks a lot! I look forward to reading your review of my e-book! Thank you for visiting and liking a recent posting at Renaissance Musings. Thank you, Matthieu, for liking my blog post, “Kirkus Review,” about my book, “Searching for Hugo”. If you ever have time to read the book I would be very interested in your feedback. Thank you Matthieu for visiting and liking my post! Have a wonderful week. War is something illogical – especially the developments after it has started. You will never understand this madness. So: Don’t be surprised if it comes again if you invest trillions and trillions into war, military, nuclear weapons, education for warfare and scientific research. Thank you for liking my post, your blog looks amazing and I will definitely follow, thanks ! I am going to mark this a great resource. Such a wonderful undertaking. Interesting site here. Thanks for liking my post about Edward S. Curtis. The next three posts about him (interspersed between other topics) will be on his history. Hope you enjoy it! Thank you for visiting.. interesting site. I have been finding out a lot of interesting stuff trying to find out about my ancestors. My mother’s side is interesting as her father was Ukranian and seems to have migrated all over Europe, to escape problems & wars happening during early part of his life but my mother ended up over here.